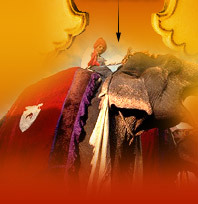 We offer delhi agra jaipur udaipur tours, delhi agra jaipur cultural tour packages, udaipur tour packages, Udaipur India Tours, Udaipur India Travel, Udaipur Cultural Tours, Udaipur Trip, Delhi Agra Jaipur Udaipur Travel Packages, tours to udaipur india, golden triangle tour packages to Delhi, Agra, Jaipur along with Pushkar, Udaipur in North India. From Udaipur - tourist can opt to go to Mumbai / delhi to explore other theme based tourist places sights in Incredible India. You will be received at the international airport / railway station from where you would be escorted by tour guide to your pre-booked hotel in private cab. Check in at the hotel. Afterwards, embark on a combined sightseeing tour of Old & New Delhi, with visits to the Red Fort, Akshardham Temple, Jama Masjid, India Gate, Laxmi Narayan Temple ( Birla Mandir ) and Lotus Temple. You will also be driven past the Parliament House, Rashtrapati Bhawan and Rajpath. Overnight stay will be at the Delhi hotel. After an early breakfast, check out from the hotel and drive towards Agra. Enroute visit Sikandra famous for tomb of great Akbar. Arrive at Agra, check in at a hotel and relax a while. Post lunch, visit the world famous Taj Mahal, Tomb of Itmad-ud-Daulah, Chini ka Rauza, Agra Fort ( Red Forts ), Akbar's Fort at Sikandra, Dayal Bagh Temple, Jami Masjid and the Ram Bagh Lawns. Overnight stay at the hotel. After an early breakfast drive to Jaipur. 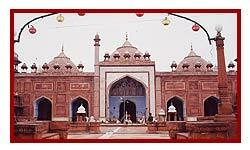 Enroute there will be a stopover at Fatehpur Sikri, the historical town built by Akbar where you can see the Bulund Darwaza, the largest gateway in the world; Jama Masjid and the tomb of famous Sufi saint Shaikh Salim Chisti. Upon arrival, check into a pre booked hotel. Then set out on a tour of the exquisite forts, palaces and Monuments of Jaipur ( also known as pink city ) with visits to Amber Fort, Jaigarh Fort, Nahargarh Fort and City Palace as well as Hawa Mahal ( Palace Of Winds ). Overnight stay will be at the hotel. After an early breakfast in hotel, visit the Hawa Mahal, Albert Museum and the City Palace complex. Post lunch, spend the rest of the time shopping in the vibrant markets of Jaipur such as the Johari Bazaar and Bapu Bazaar. Overnight stay at the hotel. After an early morning breakfast in hotel, check out from the hotel after breakfast and set out for the holy town of Pushkar. 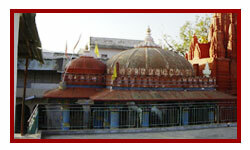 Visit the only Brahma temple in India, the Savitri temple and the three sacred lakes of Pushkar, India. Afterwards, check in at a hotel where you would stay overnight. If you are visit during cattle fair you can stay one full day to enjoy this famous pushkar camel fair during fair time lots of cultural event are performed. After an early morning breakfast in hotel drive to Udaipur, the city of Lakes. Upon arrival, check into the pre booked hotel and have lunch. Thereafter, visit the Lal Ghat area and see the beautiful Lake Pichola. Dinner at the hotel will be accompanied by an Indian classical dance performance. Overnight stay at the hotel. Embark on a full -blown city tour of Udaipur. See the City Palace, with its Saheliyon ki Bari (the Garden of the Maidens) and the Jagdish Temple. Also enjoy a boat ride on Lake Pichola. Afterwards, check out form the hotel from where you would be dropped at the airport / rail station for your schedule destinations with lifetime memories of "golden triangle pushkar and udaipur tours"